The Condition of the State Tour by Governor Kim Reynolds stopped at Spin Markket in Fort Dodge, Iowa on Friday, February 1st. The meeting discussed Future Ready Iowa, a chance to visit about Spin Markket, and learn more about businesses across the state. Iowa Workforce Development recommended Spin Markket as a business that the Governor should visit. The discussion focused on how Spin Markket works with businesses around the state to tell their story about their business for customers and use that same strategy for recruiting new employees. Governor Reynolds’ Condition of the State Tour is talking to businesses about Future Ready Iowa and Empower Rural Iowa Initiative that focuses on broadband, housing, and workforce across the state. How a business appears online is a critical element in creating that positive story. With 95% of future customers viewing businesses online before they decide to buy, how that business appears is the deciding factor between a sale and no sale. The exact same scenario applies to recruiting employees. The first place that a potential employee goes is online to learn more about that business before submitting a resume or inquiry about the job opportunity. 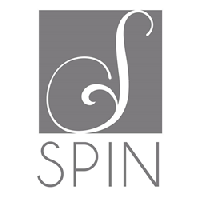 “We use a variety of digital and social media marketing strategies to tell that story about the clients we serve,” states Cheryl O’Hern with Spin Markket. “That same strategy is used when that client is looking at growing their employment opportunities within their business. Posting an open job position is just not enough anymore with such a low unemployment rate across the state”. Governor Reynolds also had a great conversation with Jessica Nemechek who will be an intern with Spin Markket starting in March. Jessica is a student at Buena Vista University and will be graduating in May with a degree in business and marketing. Internships are just one of the ways businesses can recruit future employees and create jobs that keep our graduating youth in the state. The discussion also addressed two additional initiatives that Spin Markket participates in that focus on recruitment and community branding. Dental Connection is a non-profit advisory group that works with dental professionals and graduating dental students in providing practice management support. The Advisory Group with Dental Connection is composed of professionals that specialize in services for dental professionals. In the group, dental professionals and students can network with a cpa, bank loan officer, healthcare real estate specialist, lawyer, dental equipment, construction and technical advisor, dental supply and systems advisor, marketing advisor, dentist and dental hygienist. Branding communities to recruit future workforce along with potential businesses is the focus of #ThisIsFortDodge. The community branding campaign kicked off in 2016 and has grown to reach thousands every week through a strategically managed digital and social media marketing plan. It is common to receive posted comments from visitors across the world every week that routinely follow the community through #ThisisFortDodge.